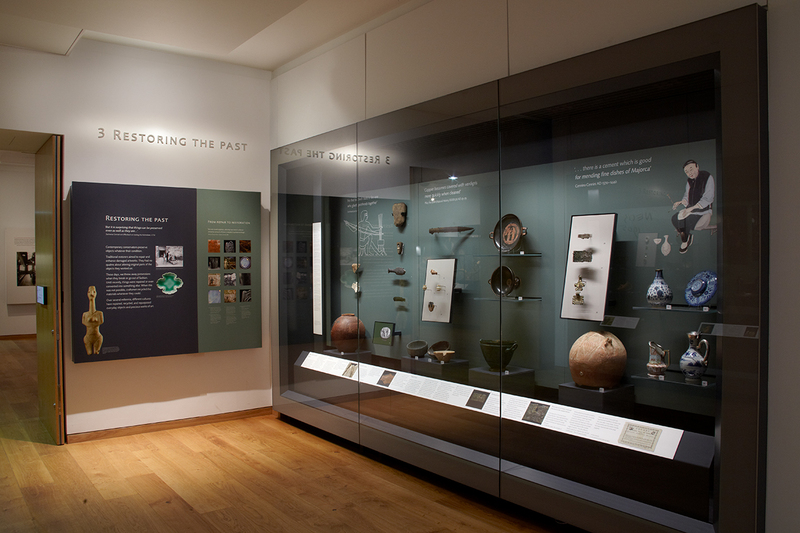 Restoring the Past: The Leon Levy Foundation Gallery shows how objects and belongings generally used to be repaired and adapted rather than discarded, as are many items in today’s disposable society. Examples are on display from various ages and cultures including a delftware jug converted to a vase and a Japanese dish in the opposite cabinet showing how a repair with gold lacquer has become an integral part of a new design. Conserving the Past showcases the work of modern museum conservators and emphasises the critical role that science and technology play in today’s museums. 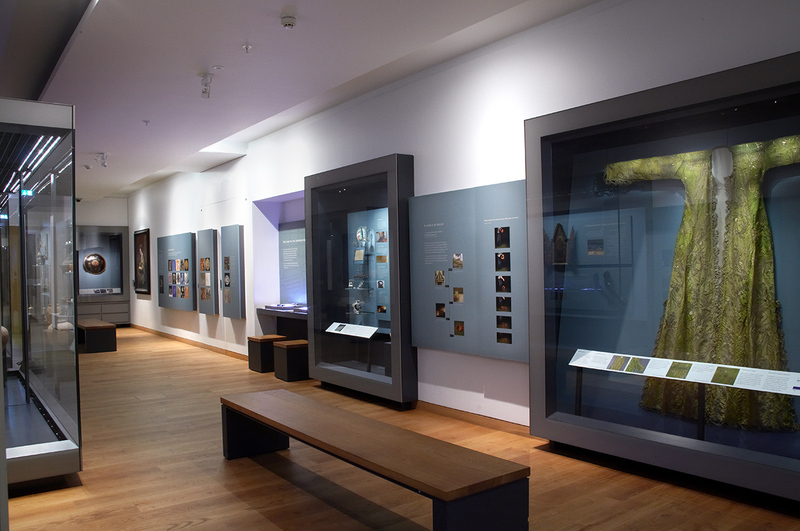 Possible dangers to objects through the effects of light and touch, amongst other hazards, are highlighted and you can gain an insight into the highly technical and scientific work of today’s museum conservators through information panels. There are several interactive activities in the gallery. Try your hand in the conservator’s mock laboratory and see how ultra-violet light can unlock secrets to the past of objects and paintings by showing areas of damage and repair.